Signs of Spring and Celebrating Trees! 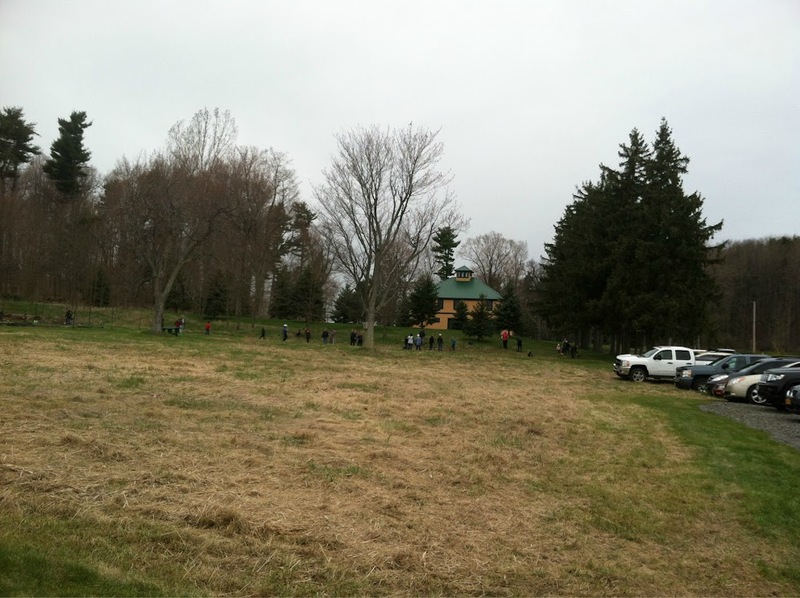 People planted baby trees to celebrate Arbor Day. Specialists taught them how to do it properly to ensure the survival of the trees. Photo by Grey Catsidhe, 2013. Yesterday I joined my friend Miss Corinne to celebrate Arbor Day with her organization The Thousand Islands Land Trust. It was a really excellent event held at their Zenda Farm Preserve just outside of Clayton, NY. Admission was free and included information about planting and caring for trees, local wildlife, and local conservation efforts. Volunteers were able to help plant trees throughout the preserve. 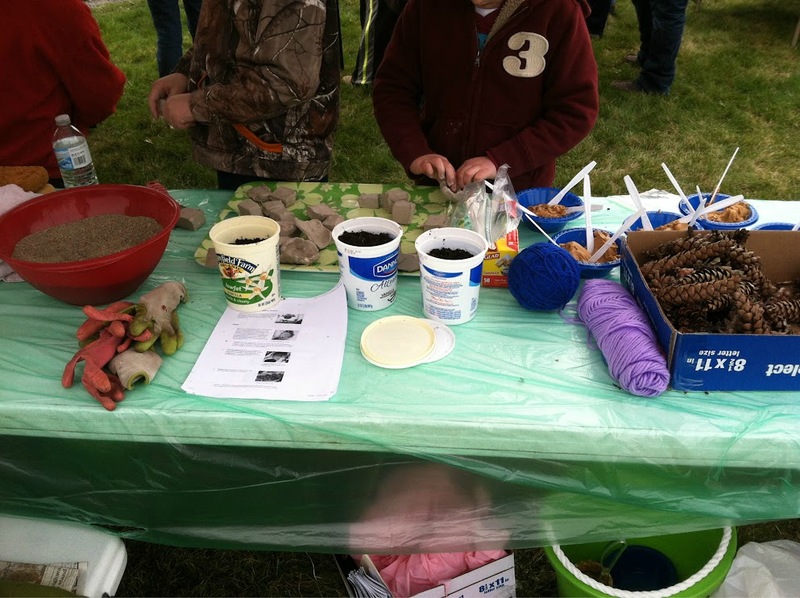 Children (and the young at heart) were able to see live animals from the local zoo and organic farm, participate in a community art project, and make seed bombs and peanut butter pinecone bird feeders! Those last activities were what I volunteered to help with! It was messy but a lot of fun. Not many people knew what seed bombs are (Miss Corinne shared some information about that on her blog if you don’t either) so it was really exciting to share that with adults while the little ones played with the clay. I think it’s a great activity to get children excited about gardening, and it can spiral up into a greater awareness of creating habitats for pollinators, urban renewal, and even permaculture! Several boy scouts in attendance made as many as they could! Kudos to Miss Corinne for putting together a great activity table! 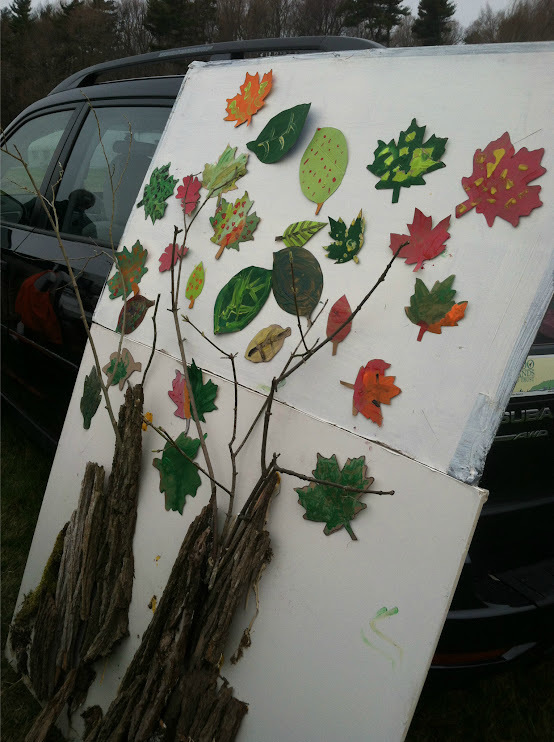 Community art project featuring bark from old trees and leaves painted by local children who attended the event. Photo by Grey Catsidhe, 2013. 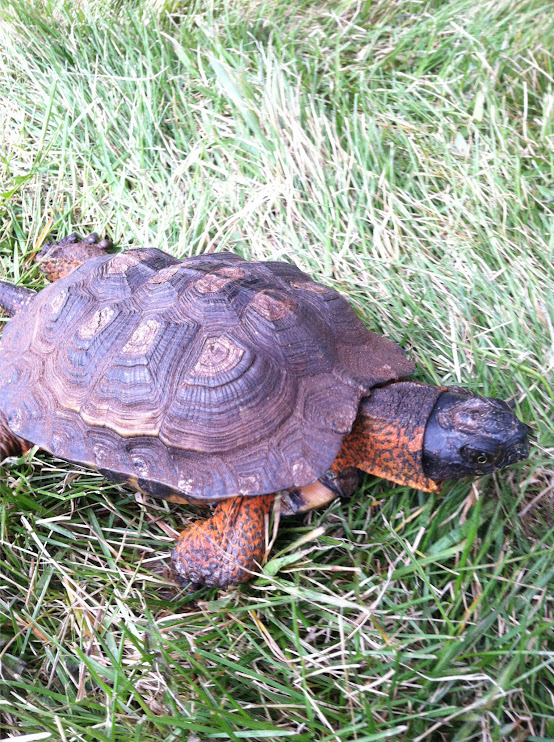 Everyone enjoyed the visiting animals, including this wood turtle! He moved surprisingly fast and seemed very excited to see people. Other animals at the event included a kestrel, a python, and a very friendly goat. Photo by Grey Catsidhe, 2013. If you live in the North Country, you should definitely bookmark The Thousand Islands Land Trust’s event calendar. There are hikes, kayak excursions, gardening, and wildlife viewing opportunities for young and old alike. They’re ways to connect to and even help with local conservation – something that I feel should be very important to Druids. Many are free to attend which is wonderful for people (like myself) who struggle with money over the summer but still want to have fun along the beautiful St. Lawrence River. I can’t wait to sign my little one up for some of their exciting kid treks! While at the Arbor Day event, I saw many signs of spring. Nature called, as she frequently does to pregnant ladies, but the farm preserve’s toilet was out of order. I took a little hike into the forest to find a special tree, and along the way I noticed several trout lily leaves and even some trillium leaves! They’ll be blooming soon! Those are always a sure sign to me that winter is definitely over. Yet there’s a sign of spring in Northern NY if there ever was one – the ticks are awake. Just a little reminder that, along with the beauty, there are those who we consider outsiders. They’re an essential part of creation but boy, they can be a pain! It’s pretty easy to tell dog ticks from deer tickets, so if the description matched a dog tick then you’re fine. The biggest problem I’ve had with dog tick bites is that they ITCH. Yay! So glad you had fun…and so glad you were able to help me – we were seriously BUM RUSHED by cub scouts at our table! I’m wondering if the tick got to you from the bag of pinecones that had been collected from the woods…remember that weird bug we saw crawling on the ground near your purse? Maybe he snuck into your bag and then found that your belly was a good place to hide out! Glad you spotted him – ticks are definitely stressful. I wonder! So far the bite mark looks fine, so – knock on wood – all will be well! The would need to be attached for about 72 hours in order to transmit most diseases. Whether it’s a deer tick or a dog tick. Sounds like a great Arbor Day celebration.